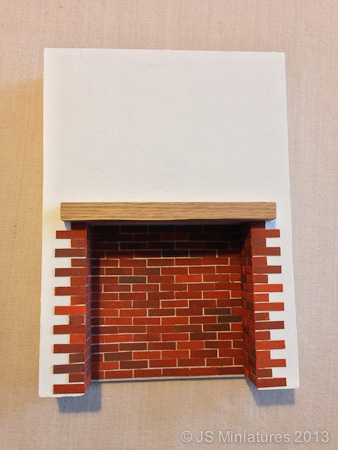 I know it's often asked about how you make an Inglenook / chimney breast. 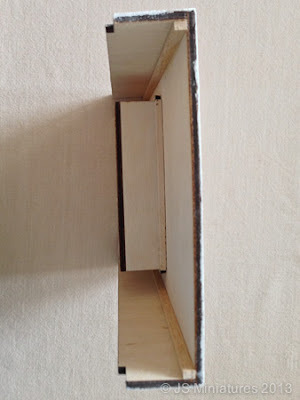 There's lots of materials you can use but the basic construction is the same. 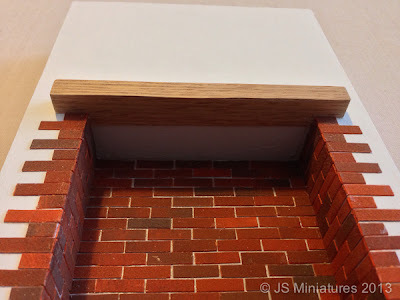 I've just made an Inglenook / alcove for a customer to fit a kitchen range I previously sold to her and I thought it might be useful to take a few photos and document the process for the benefit of others. This one is made from 4mm laser cut plywood. I started with a CAD drawing that I sent to a friend Lazercutz who laser cut it for me and then I assembled the parts using a simple right angle jig to keep everything square. 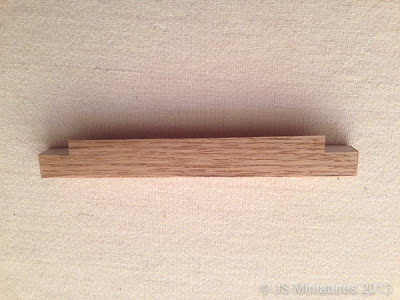 I needed to keep everything lightweight because it's being posted abroad so I used a bit of square balsa wood to support the corners and provide rigidity. 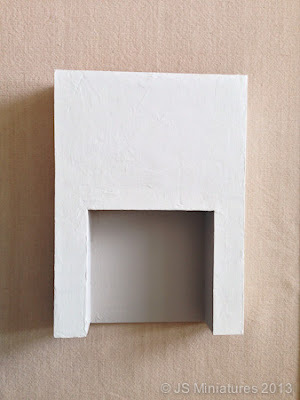 I coated it all in a thin layer of very fine polyfiller to give a plaster effect finish and painted it with emulsion. White for the plaster and a light grey in the alcove to act as a grout colour. I made a lintel - again, to keep the weight down I veneered a bit of jelutong with oak veneer and made it a bit deeper on one edge to fit into the alcove to look as though the lintel actually fits into the chimney. It was finished with brick versi-slips from Richard Stacey. I used Tacky glue to stick them on with. Just watch out for ones that half lift off after a couple of minutes! It was built to fit a specific house but it's approximately 8" high, 6" wide and 1.25" deep with an alcove 4" x 4" to fit one of the Phoenix Model kitchen range kits. I hope the tutorial is useful. PS. Custom alcoves / chimney breasts are now available on my website.